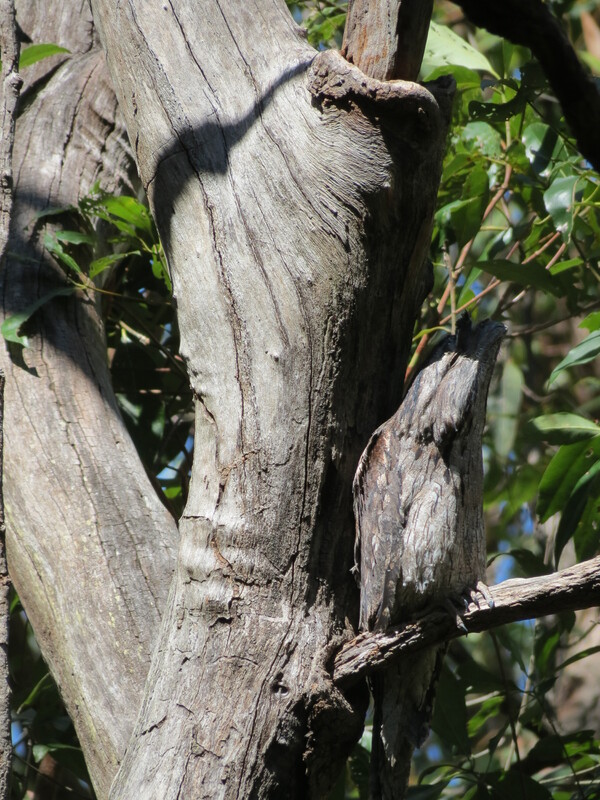 Tawny Frogmouths with their bushy eyebrows and their “I’m watching you stare.” are real characters in our suburban backyards. Hiding in plain site is the fourth in my Pollinator Link articles for the Living in the Shires magazine with the aim of introducing people to the wildlife sharing our urban habitat. Tawny Frogmouths Podagus strigoides are one of Australia’s most effective pest control birds consuming large numbers of moths, spiders, worms, slugs and snails as well as mice. This makes them particularly valuable in our urban habitat. Do you have Tawny pest controllers in your backyard? They are often found pretending to be a tree branch, although sometimes you may find them roosting on your fence or even your clothes line. 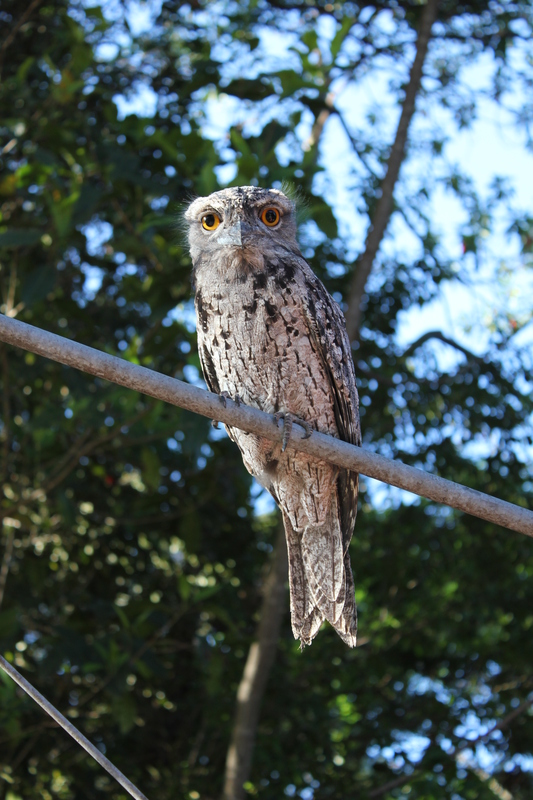 Tawny Frogmouths are often confused with owls, like our local Southern Boobook Ninox boobook. Unlike Frogmouths, you rarely see Boobooks during the day. Owls spend the day hidden away in a nest hollow. Tony Ashworth was lucky to photograph this Southern Boobook at 7:45am, doing some hunting beside the Summit Track, Mt Gravatt Conservation Reserve. the eyes – frogmouths eyes tend to be on the side of the face while owls eyes are fully forward on the face. 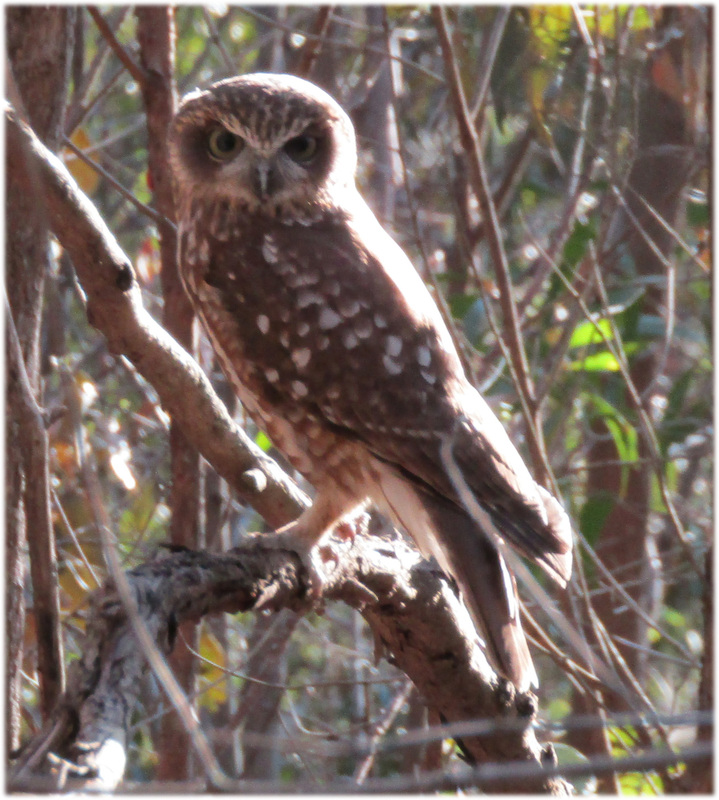 This entry was posted in Photography, Pollinator Link, Wildlife Corridor and tagged Living in the Shires, Mt Gravatt Conservation Reserve, Southern Boobook Ninox novaeseelandiae, Stable Swamp Creek Pollinator Link, tawny frogmouth (Podargus strigoides), urban habitat, wildlife. Bookmark the permalink.